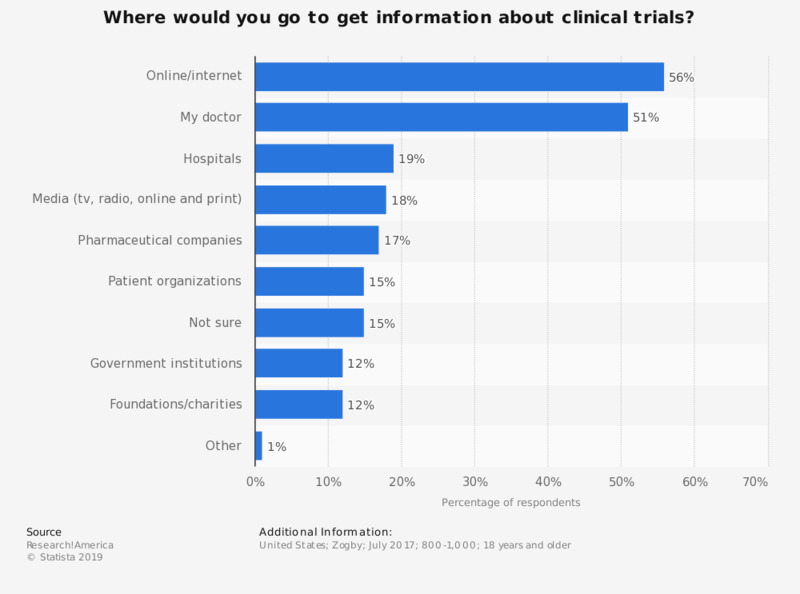 This statistic displays the share of the information sources for clinical trials among U.S. adults, according to a survey conducted in July 2017. Only 12 percent of respondents stated that they got informed about clinical trials through government institutions. Have you or anyone in your family ever participated in clinical trials? How likely would you be to participate in a clinical trial recommended by your doctor? When you need to search for health-related information, what do you usually do?